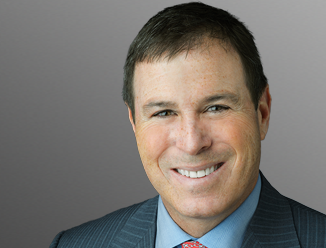 Todd Lippman is a Vice Chairman at CBRE, joining the firm following its merger with Insignia/ESG. Formerly a Principal and Co-Founder of Goldie B. Wolfe & Co. and Executive Managing Director of Insignia/ESG’s Chicago brokerage operations, Mr. Lippman is a recognized expert in large, complex transactions. Widely respected by his peers within the Chicagoland brokerage community, Mr. Lippman was the Top Producer for CBRE in the Chicago Region in 2016, 2015 and 2014. He has been a member of Crain’s Chicago Business’ “40 Under 40” list, an annual look at the area’s top businessmen and women under the age of 40, and was the recipient of CBRE’s McCarthy Award in 2007, given to one outstanding professional with regard to ethical behavior in their dealing with clients and fellow employees while exemplifying professional excellence, integrity, knowledge, service and teamwork. Mr. Lippman led the teams that represented NAIOP’s Downtown Office Transaction of the Year in 2009 and 2016. Throughout his career, Mr. Lippman has completed more than 50 million square feet in transactions and has earned the trust of clients spanning the consumer electronics, financial services, technology, professional services, food and beverage, automotive, and real estate industries. He has represented some of the largest and fastest growing corporations in the world including Bain & Company, Bridgestone/Firestone, Canon USA, Citadel, Culligan, Edelman, Groupon, KPMG, McDonald’s, Mittal Steel, Rockwell Automation, WPP, and Zenith Electronics Corporation. Additionally, Mr. Lippman is on the Executive Committee and is the Regional Director of CBRE’s Law Firm Advisory Group. He has represented international, national and local law firms including Barnes & Thornburg, Brinks Hofer Gilson & Lione, Chapman and Cutler, Dentons, Gardner Carton & Douglas, Jenner & Block, Mayer Brown, Latham & Watkins, Neal, Gerber & Eisenberg, Perkins Coie, Seyfarth Shaw, and Sidley Austin.